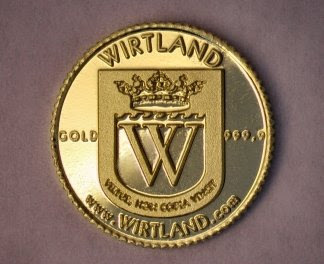 The gold coin of Wirtland has now become available for purchase from our official mint. "Wirtland Crane" is considered to be the world's first gold coin issued by a virtual country. The face side of the coin features a migratory crane, which symbolizes that virtual country transcends lands and borders. The same image of Japanese crane was also used in the Wirtland's postage stamp. The reverse of the coin features the coat of arms of Wirtland, and is also marked "Gold 999,9". 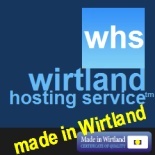 As Wirtland has no geographical location, its address in cyberspace is essential. The country's URL "www.WIRTLAND.com", inscribed on the coin, reflects the unique status of Wirtland as an internet-based state. The diameter of the coin is 16.5 mm, composition: 24 carat pure gold, weight: 1/10 troy oz. (3.2 grams). The price of "Wirtland Crane" (currently $135 retail / $120 wholesale) will be reflecting the current price of gold. 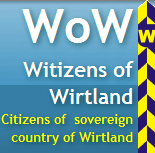 Wirtland is not seeking to introduce a new internationally recognized currency. “Wirtland Crane” formally has status similar to that of commemorative or collectors’ coins. Its competitive price* allows “Wirtland Crane” to be used also as an investment tool. As the coin is not intended for circulation, it's denominated symbolically at 10 ICU (International Currency Units). Wirtland's official partner Moonlight Mint, which has been receiving advance orders for "Wirtland Crane" from collectors all over the world, has now confirmed that "Wirtland Crane" can be purchased directly from its online store complete with official Certificate of Authenticity (regarding discounts for wholesalers and other details please email Mint (at) Wirtland .com). 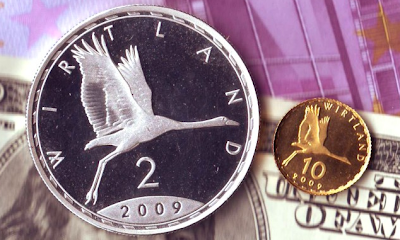 The total mintage of "Wirtland Crane" will be limited. "I received the Wirtland 10 ICU, and I really think it's a gorgeous coin!" 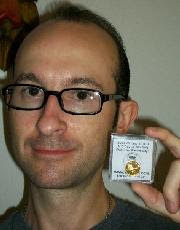 - said Erik V. McCrea, a coin collector, who was the first buyer of "Wirtland Crane" (see photograph). Erik shares his comments in article "Wirtland's coins: first results". It took us only about 4 months to realize this unprecedented project: from a scratch to first sales of the product. The success of "Wirtland Crane" confirms that Wirtland is an efficient mechanism, which can realize ambitious projects quickly and effectively. Wirtland is asking your opinion about its new political project. As a supranational entity, Wirtland has the unique possibility to unite people even from the fighting countries into a common anti-war party. Who may join the party? Palestinians and Israelis, who are opposed to war. 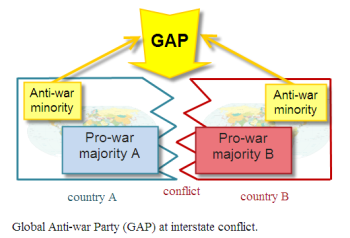 Georgians and Russians, who do not support policy of conflict. Turks and Greeks, who want to live in peace. These are only examples, but you understand the concept. Join the discussion at Facebook or at Wirtland. 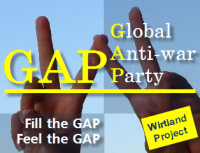 The official GAP page has now opened at Wirtland website. БЪЛГАРСКИ (in Bulgarian): Като наднационална държава, Виртландия има уникалната възможност да обедини хората, дори и от различни страни, намиращи се в конфликт помежду си, в обща анти-военни партия. Кой може да се присъедини към партия? Израелци и палестинци, които се противопоставят на войната. Грузинци и руснаци, които не подкрепят политиката на конфликта. Турци и гърци, които искат да живеят в мир. Това са само отделни примери, но вие разбирате идеята. Виртландия иска мнението ви за този проект: Wirtland, Facebook. ПО-РУССКИ (in Russian): Поскольку Виртландия является наднациональным государством, она имеет уникальную возможность создать партию, в которую могут вступать люди, живущие во враждующих странах. Кто может, например, вступить в такую антивоенную партию? Палестинцы и израильтяне, которые не поддерживают войну. Грузины и русские, выступающие против политики конфронтации. Турки и греки, азербайджанцы и армяне, желающие жить в мире. Это всего несколько примеров, но концепция понятна. Виртландия хочет узнать Ваше мнение по поводу проекта этой партии: Wirtland, Facebook.